During her time in The Netherlands Alma performed solo or in quartet as much as possible. Anything that she could earn found its way to London, to her father (see part 1). She had been granted permission to leave England for five months and was supposed to return by May 1940 but, encouraged by her success, she let the permit expire. Then on May 15 The Netherlands capitulated to Germany and by the end of June France had also surrendered. Alfred tried to get both Alma and Arnold to the US, but by then quotas had been introduced. Alma was stuck. By 1941 Alma was facing increasing problems. Not only was it a risk to help a Jew, but she was sometimes difficult to handle and occasionally she seemed not to understand how dangerous her situation was and what sacrifices were made to help her. Marie Anne Tellegen, a member of an eminent Dutch family and a resistance fighter, took Alma under her wing and convinced her that marrying an Aryan was her last chance to get papers to emigrate. The choice fell upon Constant August van Leeuwen Boomkamp, brother of the cellist Jan Carel. The ceremony took place on March 4, 1942, but it was too late – within a couple of months Jews were forbidden to leave the country. On December 13 Alma left her beloved Guadagnini in Jongkees’ care and attempted to escape to Switzerland. There are several versions of her journey. According to the most plausible, she left with another Jew at dawn. To keep the route and the people involved safe from infiltrators, Alma and her companion were given one address or the name of a contact at a time. A smuggler helped them to cross the Belgian-Dutch border and after several days of walking they reached Dijon, where they bought false papers to enter Switzerland. But they never managed to leave France. They were arrested on the train to Switzerland and taken to the Gestapo headquarters. It was December 19, 1942. The concentration camp at Auschwitz-Birkenau had two orchestras. Simon Laks, conductor of the men’s orchestra, recalled that the deputy commander of the women’s camp, Maria Mandl, and that of the men’s camp, Johann Schwarzhuber, shared ‘a serious but loyal rivalry. Everyone praised the merits of his own camp chapel to the skies.’  The members of the women’s orchestra lived in Block 12, close to the gas chamber. The band consisted of approximately 20 women of very mixed musical abilities. When Alma was first introduced to the orchestra, the players immediately realized that she could make something good out of them. 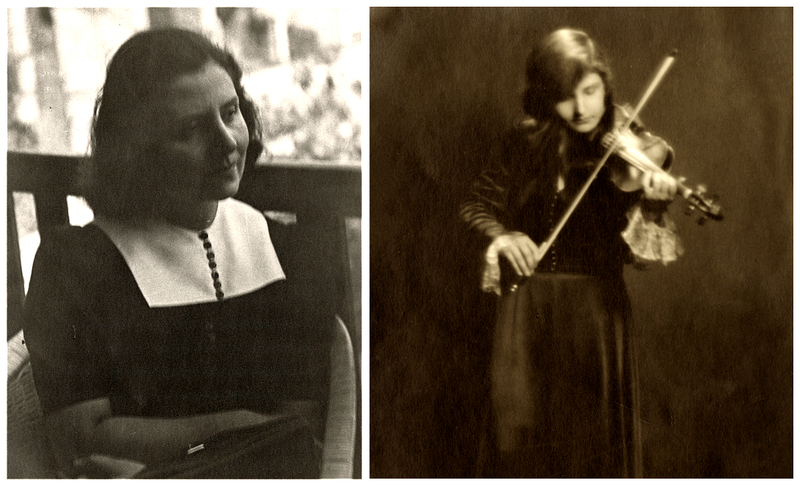 Mandl promoted her not only to conductor, but surprisingly also to Kapo, a leading position among the prisoners that was rarely given to Jews. Alma pressured Mandl to make concessions for the orchestra. On her request an iron stove and a piano were brought into the Music Block. Alma’s musicians were not forced to work outside the camp like the other inmates, but were allowed to play in their barrack the whole day. She even manage to have them granted a short rest in the afternoon. These were huge privileges. With Alma as conductor, the repertoire of the orchestra broadened considerably. Besides the usual military marches, chamber music and Viennese waltzes, opera, operetta, foxtrots, Gypsy songs, hits and ‘German jazz’ were played. The orchestra reached nearly 50 members and Alma tried to save additional lives by recruiting women as copyists or providing them with other tasks related to the orchestra. On more than one occasion, she rescued members of her orchestra who were ill and due to face another Selektion. Alma was proud of her work. She spoke often of her father and made the women promise that whoever survived should visit him in London and tell him about the orchestra. Anita Lasker-Wallfisch kept her promise. After Alma’s death it became clear that she had been not only the conductor but also the soul of the orchestra. A new conductor was appointed, Sonya Winogradowa, but shortly afterwards the Sunday concerts were canceled and the women were given extra work in addition to their orchestra duties. The orchestra was disbanded in October 1944, when the Jewish women were sent to Bergen-Belsen and the non-Jewish to the main camp at Auschwitz. Alfred was informed of his sister’s death on June 22, 1945. He in turn communicated it to his father. The 82-year-old Arnold never recovered from the news. 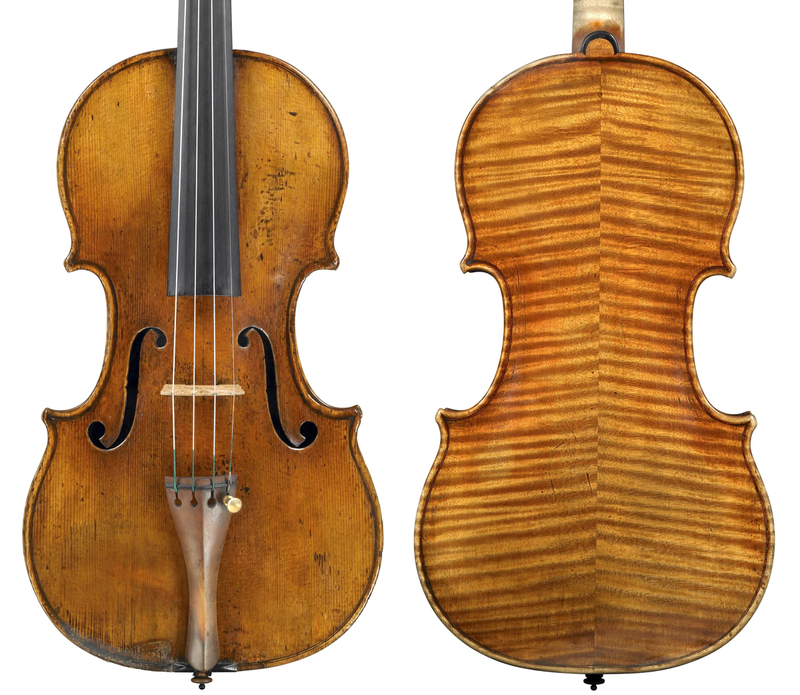 He sold his Stradivari violin before the end of the year and died in August 1946. When the book Playing for Time by Fania Fénelon,  a member of Alma’s Auschwitz orchestra, was released and later turned into a movie, several other survivors challenged it. Fénelon portrayed Alma as weak woman, servile towards the SS and senselessly cruel towards the players. Unfortunately, the success of both book and movie contributed to a distorted image of Alma Rosé for several decades and it was only with the publication of Newman’s biography in 2000 that a more nuanced picture has emerged of her life and extraordinary character. After Rosé sought refuge in England (see part 1), his daughter Alma grew worried that he would consider selling the violin. For this reason, she took the certificates with her when she went to The Netherlands in 1939 and, once she realised that she was trapped there, she sent them to her brother Alfred in the US. After the war Arnold Rosé decided to sell the violin to enable him to join Alfred in America. He played it for the last time on October 2, 1945. 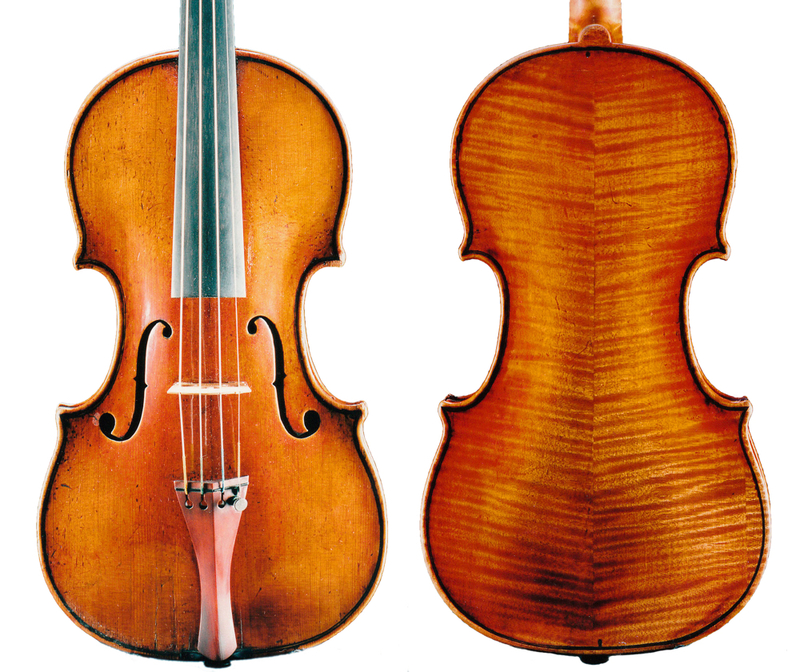 The violin reached Emil Herrmann’s New York shop around 1947 and was later purchased by the American collector Louis E. Brooks of Marshall, Illinois, who retained possession of it until his death in 1958. 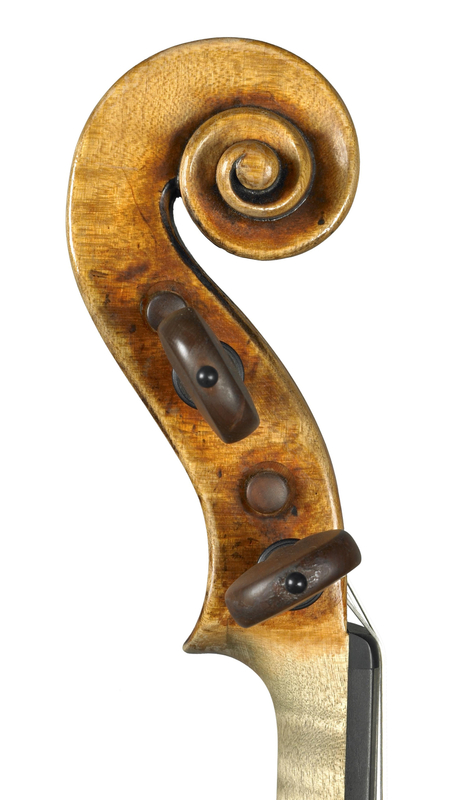 The Chicago dealers Kenneth Warren & Son administered the sale of the late Brook’s collection and the instrument came then into the possession of L.E. Cooper,  before being sold to Robert Mann of the Juilliard Quartet in the 1970s. In 1986 he passed the violin to his son, the violinist Nicholas Mann, founding member of the Mendelssohn Quartet. In the 1990s Jacques Français sold the instrument for $1 million to a Japanese Bank, who in turn lent it to Anne Akiko Meyers. It is currently part of the collection belonging to the OeNB, Oesterreichische Nationalbank of Vienna, Austria. 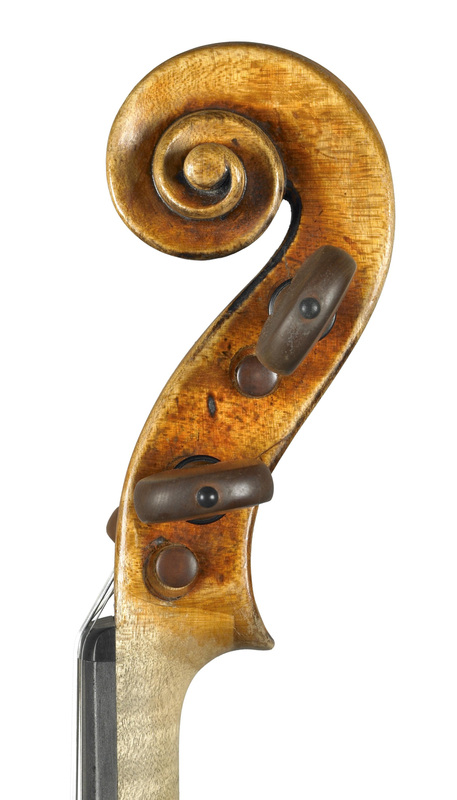 Gough sold the violin to Felix Eyle (1899–1988), who had been a fellow student of Alma at the Vienna State Academy of Music and was a former pupil of Arnold Rosé. According to Oestreich, Eyle ‘acquired the instrument in 1947, just before becoming a concertmaster at the Metropolitan Opera, where he played until he retired in 1970. “The sound is so heavenly, so gorgeous and powerful, that it goes through anything,” Eyle once said of the violin.’  Eyle gave the instrument Alma’s name. Following his death, his son Nicholas decided to sell the instrument in 2001. The violin currently belongs to a private owner. Newman, Richard, Kirtley, Karen, Alma Rosé – Vienna to Auschwitz, Amadeus Press, Portland, 2000, p. 165. Haas, Michael, From Crossover Star to Survivalist – The Unexpected Transformation of Alma Rosé, Forbidden Music Blog, January 23, 2018. Newman, Richard, Kirtley, Karen, op. cit., p. 125. Aly, Götz; Heim, Susanne, Vordenker der Vernichtung, Fischer, Frankfurt, 1991, reprint 2013, p. 390. 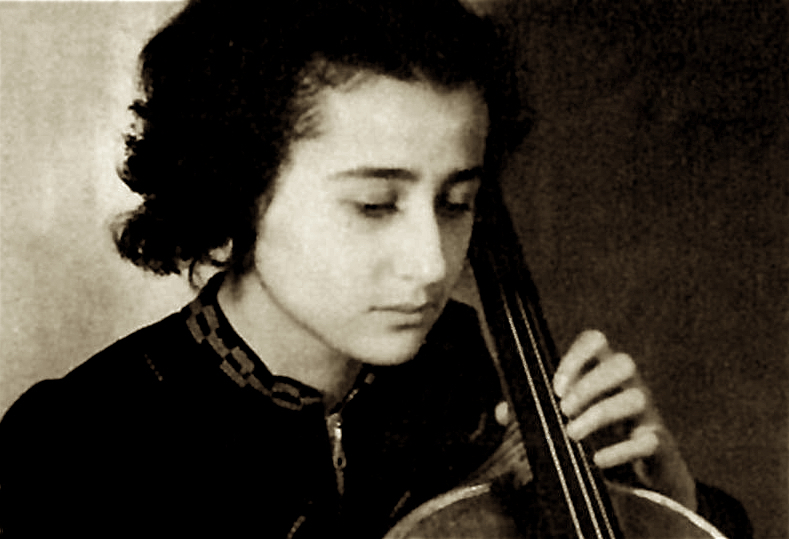 Instruments of all kinds were available at Auschwitz, as Anita Lasker-Wallfisch, a member of the women’s orchestra, explained: ‘Auschwitz was one of the richest places in the world. All the people who were deported there had only been able to take with them in a hurry what they most cared for. Well, a musician takes his instrument with him. But as soon as they got there, everything was taken away from them.’ Doerry, Martin, Nirgendwo und überall zu Haus, Deutsche Verlags-Anstalt, Munich, 2006, p. 167. Laks, Simon, Musik in Auschwitz, Boosey & Hawkes, Berlin, 1998, reprint 2014, p. 102. Herwig, Malte, Der Holocaust war in der Familie nie Thema, interview with Lasker-Wallfisch, Süddeutsche Zeitung, December 21, 2015, pp. 54–61. Švalbova, Margita, Elf Frauen. Leben in Wahrheit. Eine Ärztin berichtet aus Auschwitz-Birkenau 1942–1945, Plöger Verlag, Annweiler/Essen, 1994, p. 42. Gessler, Philipp, Musizieren, um zu leben, interview with Lasker-Wallfisch, TAZ, May 25, 2011. Newman, Richard, Kirtley, Karen, op. cit., pp. 236, 257. Lasker-Wallfisch, Anita, Ihr sollt die Wahrheit erben, Rowohlt Taschenbuch Verlag, Hamburg, 2000, reprint 2002, p. 131. Fénelon, Fania, Das Mädchenorchester in Auschwitz, dtv, Munich, 1981, reprint 1982, p. 231. Newman, Richard, Kirtley, Karen, op. cit., p. 299. These included meningitis (Lasker-Wallfisch, Anita, op. cit., p. 140. ), typhus (Laks, Simon, op. cit., p. 103. ), poisoning (Fénelon, Fania, op. cit., p. 237) and even suicide (Švalbova, Margita, op. cit., p. 52.). Newman, Richard, Kirtley, Karen, op. cit., pp. 305–306. Fénelon, Fania, Playing For Time, Syracuse University Press, new edition, 1997. Bejarano, Esther, Erinnerungen, Laika Verlag, Hamburg, 2013, p. 69; Lasker-Wallfisch, Anita, op. cit., p. 140. Newman, Richard, Kirtley, Karen, op. cit., p. 43. Goodkind, Herbert K., Violin Iconography of Antonio Stradivari 1644–1737, Larchmont, New York, 1972, p. 734. ‘# 3085’, Jacques Français Stringed Instruments Photo Archive, Archives Center, National Museum of American History, Smithsonian Institution, Washington. Newman, Richard, Kirtley, Karen, op. cit., p. 68. Oestreich, James R., A Violinist Is Enhanced By a Violin With a History, The New York Times, New York, December 5, 2000.